The United Kingdom’s creative industries will be “absolutely central” to the UK’s Brexit future, the new minister for Digital and Culture, Matt Hancock, said on Friday. In his first major speech to the UK arts and creative industries sector, hosted by the Creative Industries Federation at the British Film Institute in London, Mr Hancock stressed that the creative services played an important role in the British economy, accounting for 9 per cent of all UK service exports. “I will fight to ensure that the creative and digital industries are at the heart of this government’s industrial strategy, with a tax, regulatory and public investment framework that supports you to grow.” he told those gathered. Mr Hancock insisted that tax relief already in place in the creative sector would “not be adversely affected” by the UK’s decision to leave the European Union. The creative industries form the fastest growing sector in the UK, with a 5.2 per cent contribution to the domestic economy. 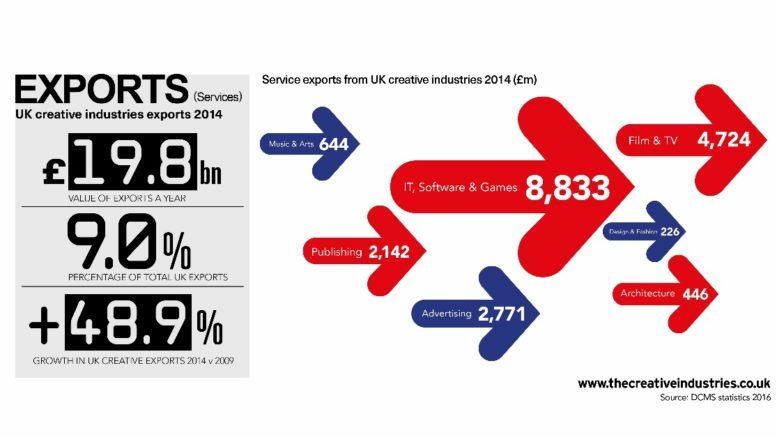 Europe is the largest export market for the creative industries – including IT, software & games, film & television, advertising and publishing – with 57 per cent of all overseas trade. 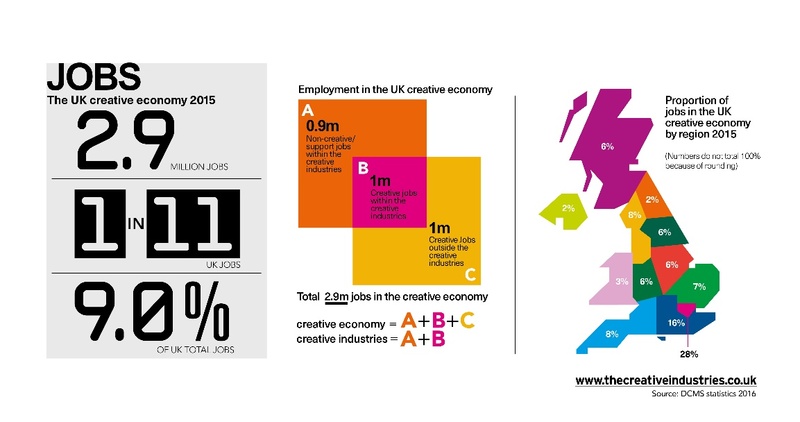 Employment in the creative industries rose by 3.2 per cent in 2015 to 1.9 million. By comparison, average UK employment rose by 2 per cent during the same period. However, some experts in the arts and creative industries have voiced concerns over their future post Brexit. Stephen Deuchar, the director of the Art Fund, said after the referendum: “As the national fundraising charity for art, Art Fund is deeply concerned about the impact that leaving the EU will have on culture in the UK, and particularly on museums and galleries”. John Kampfner, head of the Creative Industries Federation (CIF) – with 96 per cent of its members favouring Remain – said, “It will be vital for all sides to work together to ensure that the interests of our sector on issues including access to funding and talent are safeguarded as the UK forges its new relationship with Europe”. Last week, Samuel West, chair of the National Campaign for the Arts, wrote an open letter to Karen Bradley, the new Secretary of State for Culture, Media and Sport, setting out five challenges that needed to be addressed. They include the impact of Brexit on the arts and culture. “We are now very concerned about our ability to get access to important European funding, such as the €1.3bn Creative Europe programme,” he said. The European Union’s programme Creative Europe – created to support the cultural, creative and audiovisual sectors in the EU – has pledged to invest €1.46bn between 2014 and 2020 in these industries. During its first two years alone, it has supported 230 cultural organisations and audiovisual companies in the UK. Meanwhile, according to the Arts Council, between 2010 and 2015, total spending by local government in England on arts and culture development and support was cut by 16.6 per cent. Although the UK Government recognises the importance of the arts and creative sector, for this to thrive beyond Brexit it is essential to address the concerns identified above and make clear how the UK creative industries need to react to protect their future. This includes identifying alternative sources of funding but also benefiting from the free movement of EU talent, which is an essential ingredient of their commercial success.